In case you hadn’t heard, “Dad bod” is the word. Major publications like Slate, the Atlantic, GQ, and Business Insider have all had their say on the matter in the last few days, though the trend has apparently been stewing and growing in followers for quite some time prior to 2015. Their “say,” of course, is unanimous approval. It’s in, and therefore good. Form follows function. What then is the function of the #Dadbod? First, an explanation brought to us by the mainstream media. Whatever would we do without ABC. So there it is; the #Dadbod is working out… but not “too much.” It’s letting go with your diet, eating what you want, when you want it, and yet not growing outright obese. And there are dozens of women coming to tell you, on behalf of all other women, that this (not this) is what is actually attractive to the ladies. The original attractiveness of the #Dadbod was not the look itself, of course. It was the lifestyle and personality of the type of man who would acquire it; a man who is too busy being successful and attractive in non-physical ways to worry himself with chiseled abs, but doesn’t let himself go completely either. This is actually quite reasonable, but it is not in this way that the articles are praising the new physique. By commending the #Dadbod itself, they are putting the cart before the horse, and praising the mediocrity that comes from excellence elsewhere rather than excellence itself. We may as well write odes to the intellect of MMA fighters, or the cleanliness of construction crewmen. There are many ways to be excellent, but these articles target the mediocre opportunity cost of excellence elsewhere as the good itself. 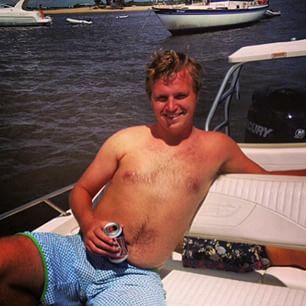 The #Dadbod hashtag is, in essence, the idealization of the average. The observer might point out–as the articles variously did–that the average is not new. 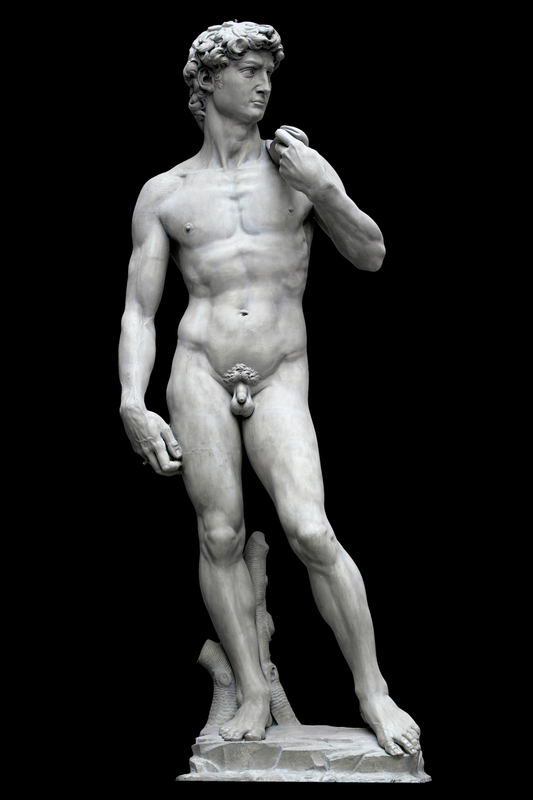 Socrates sported something like the #Dadbod, and countless male icons between then and now. But though the body type is not new, the rejection of the old ideal male forms–David, the Spartans, the Olympic Athletes—is new. Instead of acknowledging our own inferiority to an ideal that we nonetheless strive towards, #Dadbod says that the ideal is not worth striving for. Be a little lazy! Relax… and embrace being average. This is the simply the next logical step of the self-esteem movement. When your sense of identity is built around other people’s subjective judgments of you, rather than around your relationship to an objective standard, then it is natural for you to be more defensive, and more aggressive, whenever those positive judgments begin to fade away or become outright hostile. It pays to be average, to encourage a culture that praises mediocrity, and to bring those who make you feel comparatively inferior and insecure about yourself down a notch or two. There is no room for admiration or emulation when we’re supposed to believe we’re already as good as we have to be. As good as we’ll ever be. So if form follows function, what is the function of the #Dadbod? As an idea, it is an attack on ideals. It is powerful because many women are serious when they say they prefer the #Dadbod… but not because it’s “attractive.” Women have already been fed the self-esteem poison, and many accepted an unattractive body shape–one that is by no means beyond improvement–as a core part of their identity. Few things are worse than taking a picture in a bathing suit, one being taking a picture in a bathing suit with a guy who is crazy fit. We don’t want a guy that makes us feel insecure about our body[…]But we still like being the center of attention. then you know that the attraction they claim is probably less than genuine. More likely, it is a compensatory excuse for their own feelings of insecurity about their body, feelings that they would rather fix by having other people lower their standards than by rising to achieve something beautiful themselves. The coddling self-esteem movement has carefully built an elaborate structure for them on the whimsical foundation of other people’s praise and acceptance, and the idea of other people building their identity cathedral upon a more solid foundation–an ideal, a principal, anything objective, rather than subjective–threatens to undermine their own foundation. Those with objective foundations for their own worth feel no need for undue praise and adulation, and so feel no reciprocally-motivated desire to assist in the self-delusion of others. It is worth remembering that there is a reason that the ideals exist as they are. Being “curvy” (read “fat”), or rocking the “dad body” (read “overweight”), are not just sexually unattractive, but unhealthy, and unhelpful for tasks like moving things, climbing stairs, and generally feeling good about yourself. Nothing helps your self-esteem–chemically–like a good workout and the beautiful body shape that comes from making that a habit. As summer comes around, the ads will come out about preparing for the good weather. Drag yourself and others down to preserve an identity others built for you on their own praise and subjective judgment. Uplift both yourself and others while actively building an identity based on your own values, goals, and genuine preferences. Whichever option you choose, recognize that you are choosing it, and that day by day, what you do is who you become. You are the captain of your ship. Choose your course wisely.